The Ex-Debutante, by Linda Francis Lee, is the most fun I’ve had reading a book in a while. But don’t let the fun, fashionable cover or the idea of debutantes fool you into thinking this is pure confection. At the heart of this story is a lesson everyone can learn, especially those of us who are Type A and always follow the rules. The lesson is this: Sometimes losing control can land you in a far better place than you’d meticulously plotted yourself to be. Also, you can run, but you can’t hide from where you come from - it’s always a part of you. 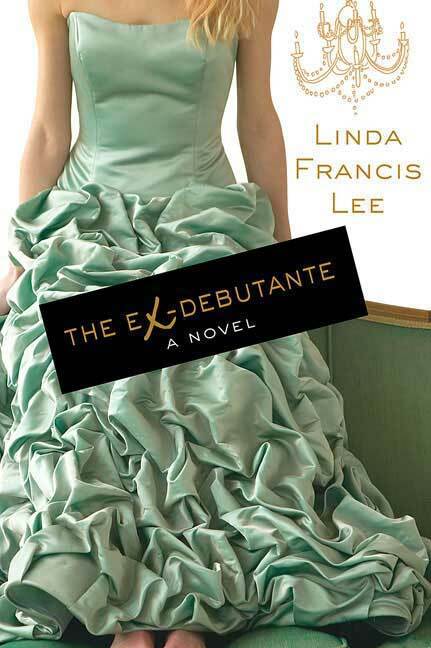 The Ex-Debutante successfully juggles many subplots. There’s family, legal, social, and of course, love story drama. As if that were not enough, it’s set in the Texan world of Junior Leagues and debutante balls where everyone has money, and lots of it. The descriptions of houses, clothes and parties are the things of Dallas & Dynasty. Even the character names are dramatic: Carlisle, Ridgley, Racine, India. Drama, drama everywhere – but the book is also very, very funny. I got the giggles more than once. The heroine of the story is Carlisle Wainwright Cushing, who’s grown up somewhat in the shadow of her mother and sister, both Texas beauties who cannot live without a man. At a young age, Carlisle promised herself that she would never end up like them. She’d always dedicated herself to her studies and to being responsible (too often, for her own mother). She’d only ever lost herself to a man, once…briefly, to Jack Blair, an extraordinary Texas hunk. He’s smart, good-looking, charming and oh so “bad.” He was a totally irresponsible choice. Question is – is he still? After escaping to a safe life in Boston as an attorney, Carlisle is summoned back to Texas to handle her mother’s divorce case. Through a series of family missteps--because Carlisle never walks away from her responsibilities--she also ends up running this year’s Debutante Ball. The irony is, when Carlisle was a debutante, she literally fell on her face. She has her hands full, too. Let’s just say, this year’s crop of debs is far from traditional. Throw in a deb-disdaining, woman’s lib trumpeting sister-in-law who tries to reinvent the sexist tradition, and things get really interesting. Like I said, drama! But it sure was fun. I was sad when the book ended. The author’s style of writing is fun and fast-paced and dripping with syrupy backhanded southern charm (think of the duplicitous ambiguity of “bless her heart”). Her southern cast of characters are the perfect blend of quirky personalities, many of whom have broken hearts in search of mending. Her story begs the question, “Can you love your family and like them at the same time?” And she also points out that just because you live with someone, it doesn’t mean you really know them…but more importantly, it’s never too late to try. This book was published a few years ago and I bought it as a hardback– sadly it sat on my shelf for a few years. Shame on me, because it is a gem! Sounds like a great read! I have added it to my TBR list! I may have to use this for my bookclub selection, thanks for the idea.